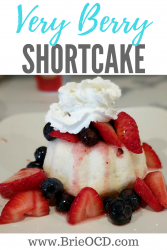 This very berry shortcake dessert is the PERFECT summer time treat! It is also very festive for Memorial Day and 4th of July! It is light, airy and gives you that touch of sweetness you look for in dessert. With only 210 calories per serving you get a delicious and filling treat without all of the added calories, fat and guilt! 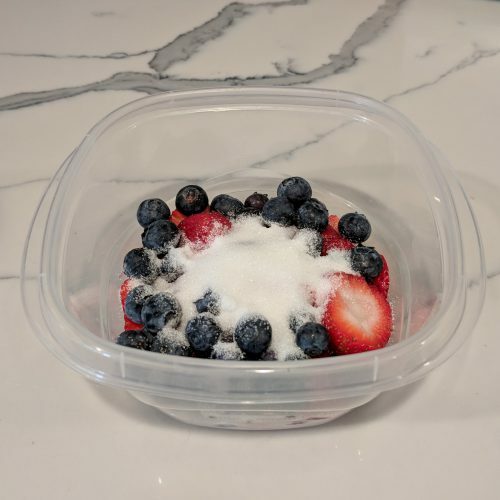 This is a summertime favorite in my house because it is so easy to make and is healthy as far as desserts are concerned. 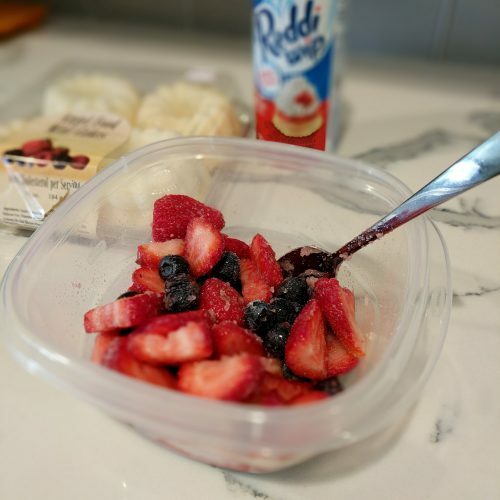 If you are watching your carb intake then just elimate the shortcake and make yourself a little berry parfait with the berries and whipped cream. 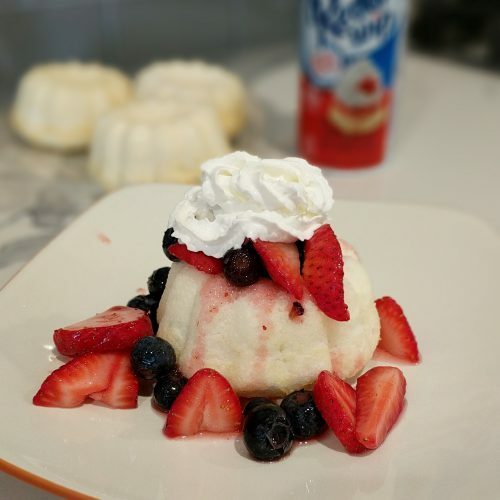 Right now I make this with all store bought ingredients but one day I will attempt to make my own whipped cream and shortcake bottoms (just not yet, LOL). I hope you enjoy this healthy summertime treat as much as I do! a delicious and healthy summer treat! 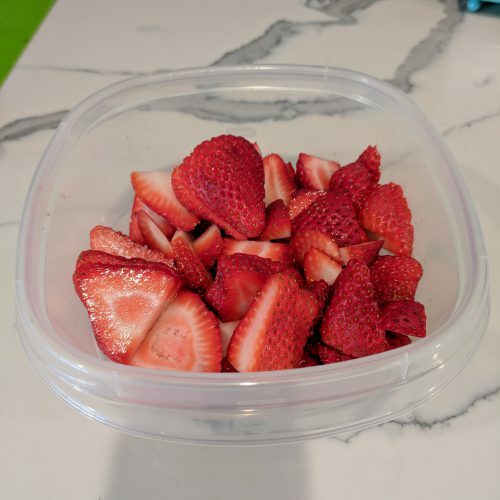 slice strawberries and add to a small Tupperware. add blueberries and sugar. Stir. 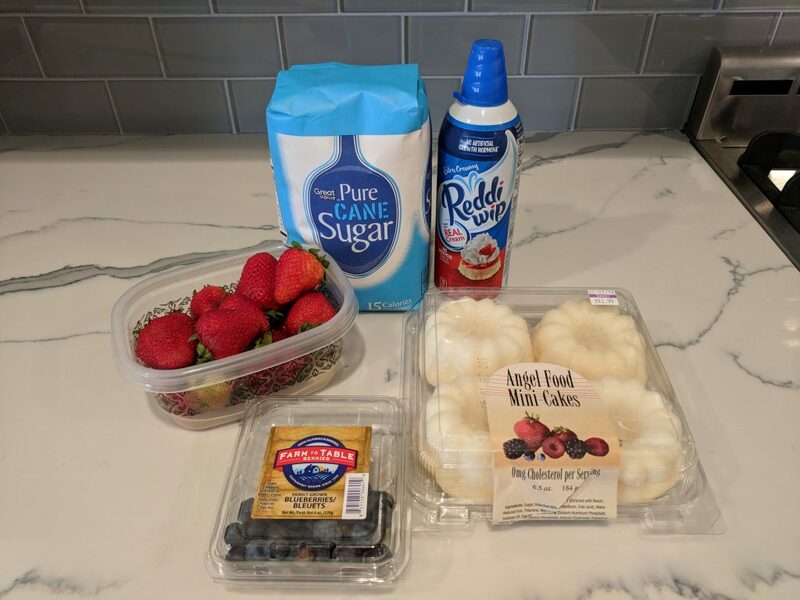 place angel food cake on a plate and top with berries and whipped cream. Enjoy!